Kev puts the tardis-like Warthog 26 pack from Blue Ice, through it’s paces. Blue Ice Warthog 26, a great Alpine pack. Now and again I’m sent a piece of kit to test that I fall in love with. The Warthog 26 pack from Blue Ice, is one of those. 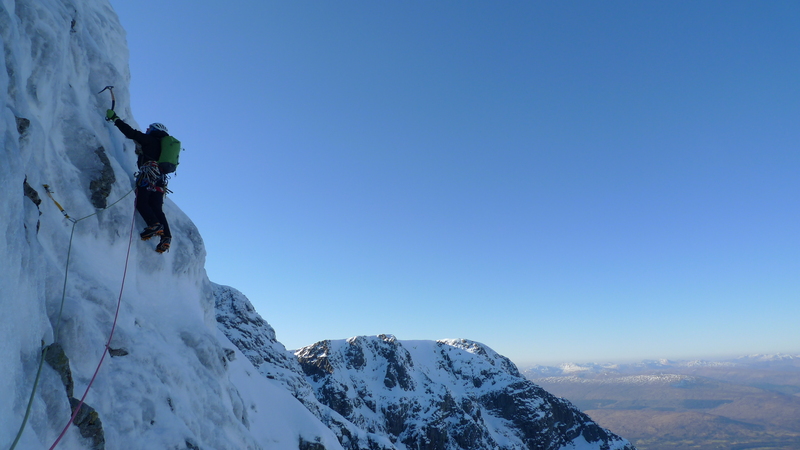 I’ve used the Warthog 26 pack for Scottish winter routes, UK cragging and Alpine hits and apart from a couple of minor niggles, I can’t fault it. So why do I love this pack so much? Well, the main reason is it’s simplicity. It really does just feature the things you need (well almost all of them) and nothing else. And that’s what I want. 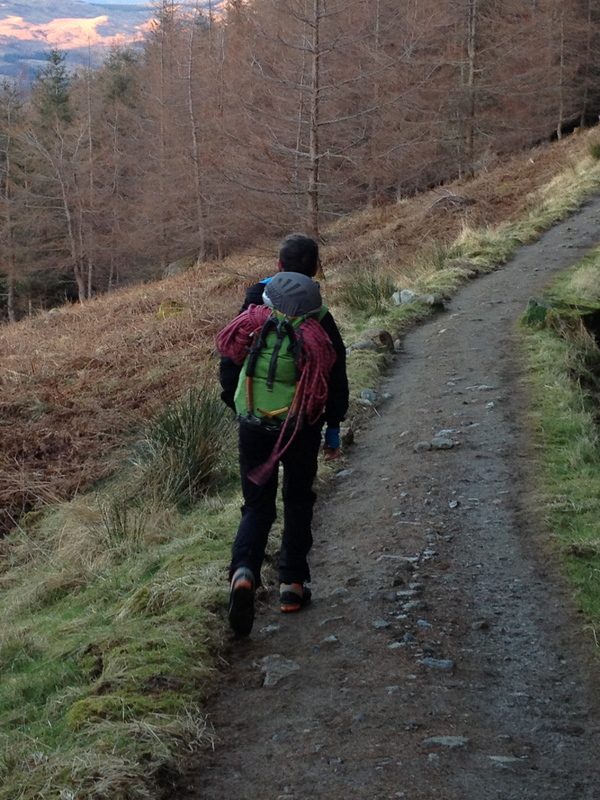 I find many modern climbing packs too overly featured, heavy and cumbersome. Essentially badly designed with lots of straps and flaps that are superfluous to requirements, add unnecessary weight and could have your eye out in a strong wind! The Warthog 26 has none of this. So what does it have? Well, it has a roomy 26 litre main compartment which despite it’s small size, swallows enough kit for a day in Scotland in winter, UK trad or an Alpine route. The pack is a bit of a tardis and many friends have commented on how they don’t understand how all of the things I carry in it, actually fit in it! I am quite good at packing these days and I do have light compact kit but still, I’ve had no trouble getting a large mixed rack, food, water, spare clothing, crampons, axes, rope and helmet in the Warthog 26. Well, I say in but the axes go on the outside, the rope goes under the lid secured by it;s dedicated fastener and the helmet fits under the mesh holder on top of the lid. The mesh helmet holder is actually one of my favourite features and neatly secures the helmet when you need it but stores discretely in it’s own pouch when not needed. When in use you can store your butties in your helmet to stop them getting squashed too! The helmet holder is a great feature! The top lid contains 2 pockets. One is underneath and is great for storing items or valuables that you don’t want to drop whilst rummaging around. These can be left secured and other items like energy bars, topo etc can be stored in the main lid compartment. Both compartments feature secure, high quality, glove friendly zippers. There is also and integrated drinks bladder pocket in the main body of the rucksack, this holds a 2 litre bladder and has a built in hole for the hose to poke out of. I didn’t really use this much as I generally find these bladders end in spillage disasters, however I did find the slot useful for storing flat items such as a map. 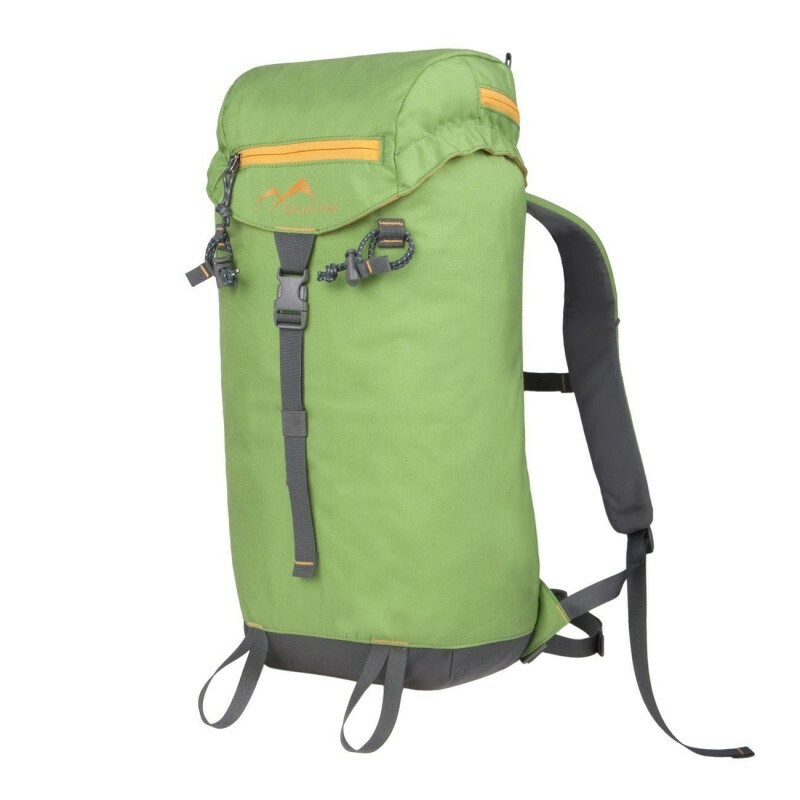 As I mentioned earlier, the compact design of the pack meant you could climb freely and unhindered and the removable hip belt and adjustable chest strap with safety whistle helped stabilise the pack when it was full. I tend not to use the waist belt so I removed this quite early on but it was an easy process and some may find it useful to have on there. The back system features simple foam padding and cordura and this was ample for the loads which I carried. The straps were padded enough too. Blue Ice Warthog 26 – perfect when climbing. The rope and helmet, whilst carried externally, don’t really need to go inside the pack if they are attached securely. 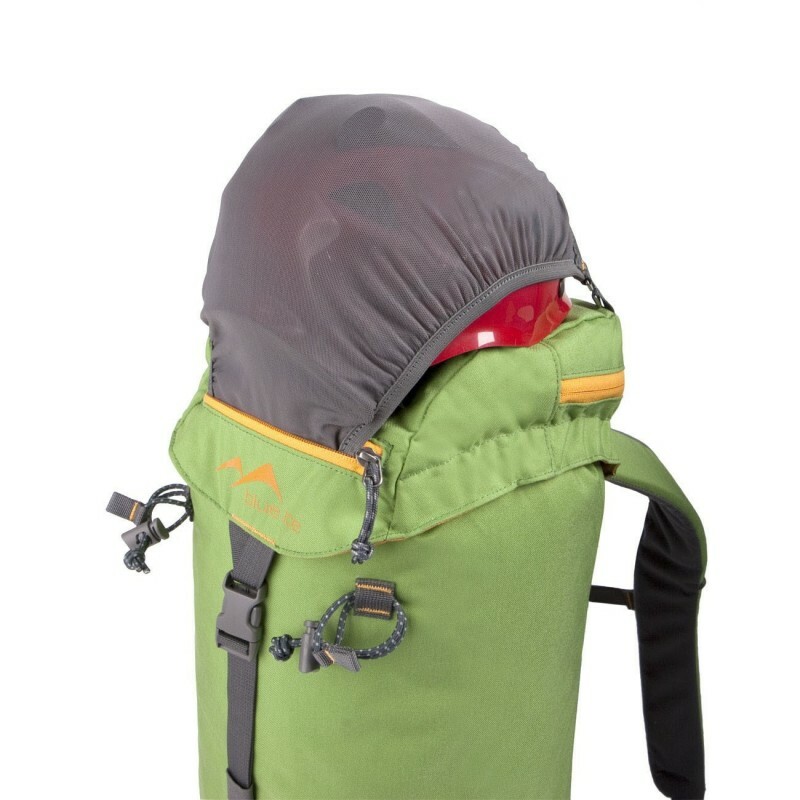 When you’re climbing, you’re using or wearing them so no need to have a large bulky main compartment. When you have all of your climbing kit on there is very little left in the pack. The lid can then be stored in the main body, the drawcord tightened and the rope strap passed through the tube hole and secured over the top. The body is narrow and low profile. The fabric used on the main body of the Warthog 26 is a mix of 500 and 1000 denier CORDURA®. It is incredibly tough but also light with the whole pack weighing in at just 740g. I’ve used it now, for 6 months and there is very little evidence of wear. So what are the niggles? Well firstly the ice axe loops don’t work very well with modern hammer and adze-less ice tools. You need to secure them carefully; I added a karabiner which worked fine. I would like to see some tabs so that I could add bungie cord to the front in case I want to take a bivi pad. I also found the buckles a little stiff to operate whilst wearing big gloves. 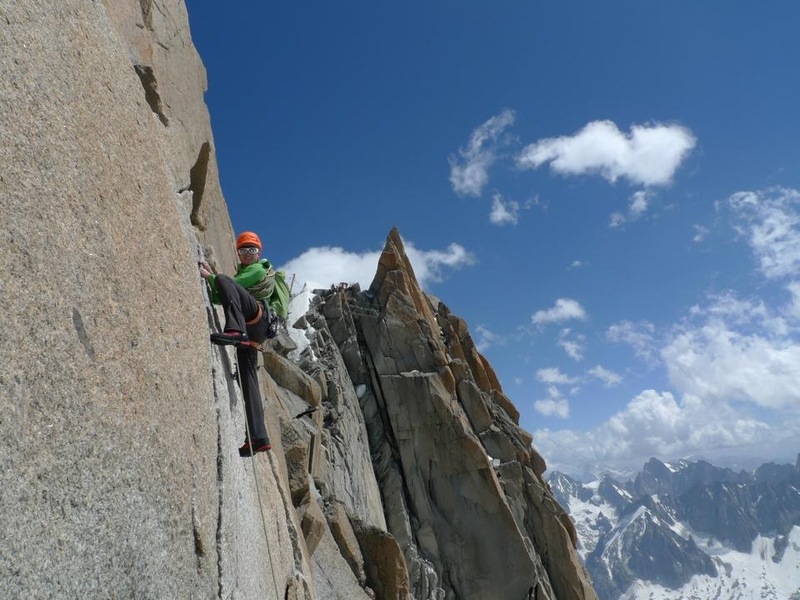 I suppose the other issue is that some UK climbers might not find it big enough but this really wasn’t an issue for me at all. And if it is for you then there’s always the fantastic looking Warthog 38 pack instead. So in conclusion, this is my current favourite pack for Alpine and winter climbing. Comfortable when climbing, great quality and brilliantly simple. Awesome!